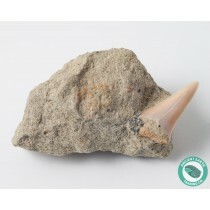 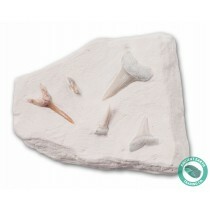 Sharktooth Hill Shark Teeth Fossils For Sale from Bakersfield, California, USA - Ancient Earth Trading Co.
Sharktooth Hill is one of the most famous vertebrate fossil sites in the world - a place where roughly 125 species of sharks, bony fishes, sea mammals, sea turtles, marine crocodiles, birds and even land mammals have been found. 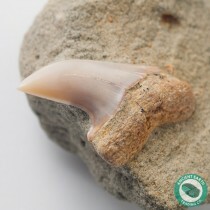 The fossils are concentrated in a rather narrow one-to four-foot thick layer in the Round Mountain Silt Member of the Middle Miocene Temblor Formation, which is exposed over several square miles in the rolling foothills of California's southern Sierra Nevada. 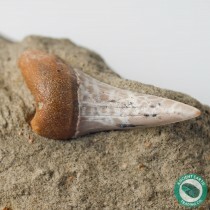 Since it’s discovery in 1853, the Sharktooth Hill area has yielded thousands of shark teeth, including the rare giant shark, Carcharodon Megalodon!